Christopher Burawa is a poet and translator. 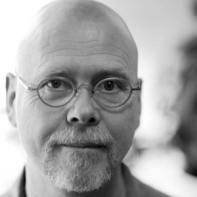 His most recent publication is a translation of Icelandic Modernist poet Steinn Steinarr’s most famous work, Time and Water, which he co-translated with Cynthia Hogue. He lives with his wife and daughter in Red Wing, Minnesota. The season contradicts the ration of mind. with sameness. Throughout the body there are no reflected images. Is the gray man, now on his knees, praying? And is the seed designed to promote its own freedom? The examples are neither different nor the same. their sleep you most notice them. city must consent to them.